Hi everyone! This is GiGi from The Cricut Bug and I have a fun treat to share. Easter is coming up fast and I made this special for my nephew. I started this project with a 1 X 6 Clear Tube and filled it with paper shred and chocolate carrots. 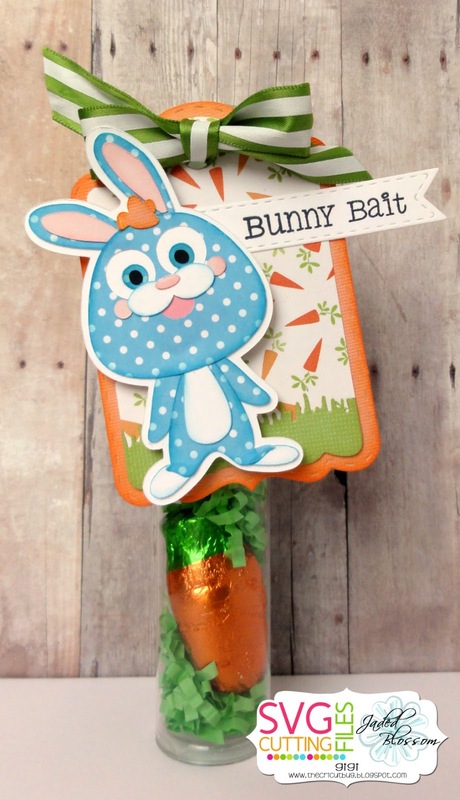 I cut the tag using the Treat Tag Die and added a row of grass cut with the Spring Dies. 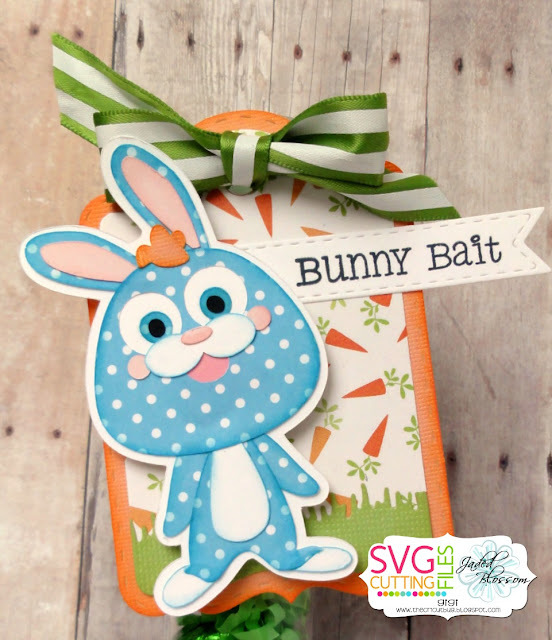 I cut the bunny from the SVG Cutting Files Chibi Silly Bunny and added him on pop dots to the tag. I cut the sentiment banner using the Mini Tag Dies 2 and stamped the sentiment from the Easter Treats 2 stamp set. To finish, I tied the tag onto the tube with some ribbon.